BRS Aerospace, the leading whole aircraft rescue parachute system manufacturer in the world, and Transcend Air Corporation, developer of the Vy 400, a six-seat, vertical take-off and landing (VTOL) aircraft, today announced a partnership to make the Vy the safest VTOL aircraft in history. Transcend and BRS expect to go beyond the occupant protection requirements of the current Part 23, Part 25 and Part 27 FAA aircraft certification regulations. Building on the proven benefits of the BRS system, the two companies will apply techniques pioneered by automotive manufacturers that have cut injury rates in half since 1985. Impact energy, already tremendously reduced via parachute descent, will be further absorbed and dissipated through the integrated use of frangible aircraft structure, safely deforming seat supports, and airbags. BRS Aerospace’s current whole aircraft parachute system for fixed-wing aircraft design calls for a parachute ballistic launcher to be installed in the aircraft with either a pilot-initiated activator located in the cockpit or an automated activation system. Upon activation, a ballistic rocket propels a parachute into the airstream to slow the aeroplane and float it down into a survivable vertical landing. BRS Aerospace is the world leader in whole aircraft parachute systems with more than 35,000 systems delivered to aviation segments including Light Sport Aircraft, experimental aircraft, ultralights, unmanned vehicles, military aircraft, and FAA/EASA Type Certified general aviation, including the most popular piston-powered aircraft in production today. Recently, an independent statistical analysis concluded that the Ballistic Recovery System significantly reduced the odds of experiencing a fatal aircraft accident when deployed. 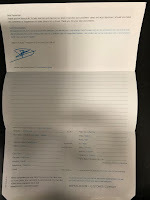 BRS recently documented its 401st life saved when the BRS system was deployed. BRS Aerospace was founded in 1980 in South St. Paul, Minn. It has manufacturing facilities at the South St. Paul Municipal Airport and in Pine Bluff, N.C. 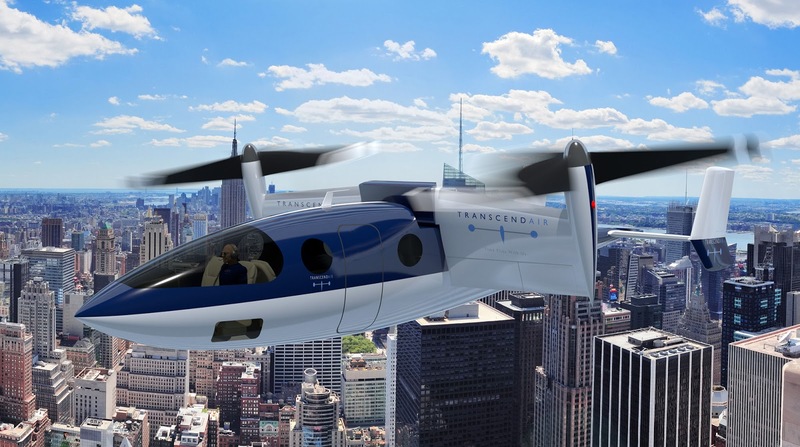 Transcend Air was founded in 2017 to unlock the heart of the city with a VTOL airline that will free business travellers from congestion on the ground and in the air. 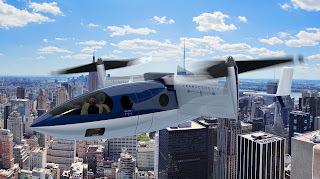 Having taken the unique path of designing an aircraft starting from a ticket price, Transcend has developed the Vy 400 as the best solution for city-centre to city-centre mobility (C2CM), with door-to-door prices lower than current air travel options, and door-to-door times that are 67% to 80% less. With the Vy 400, Transcend Air is finally realizing the VTOL promise.